The Hot Toddy: warm, delicious, and believed by many to cure everything from a minor cough to the full-blown flu. While whiskey is traditionally the spirit of choice, the Hot Toddy is a decidedly forgiving beverage, and you can easily swap out the spirit for what you have on hand. Preferably that substitute is something dark, like bourbon, rye, brandy, cognac, or rum, but feel free to experiment. 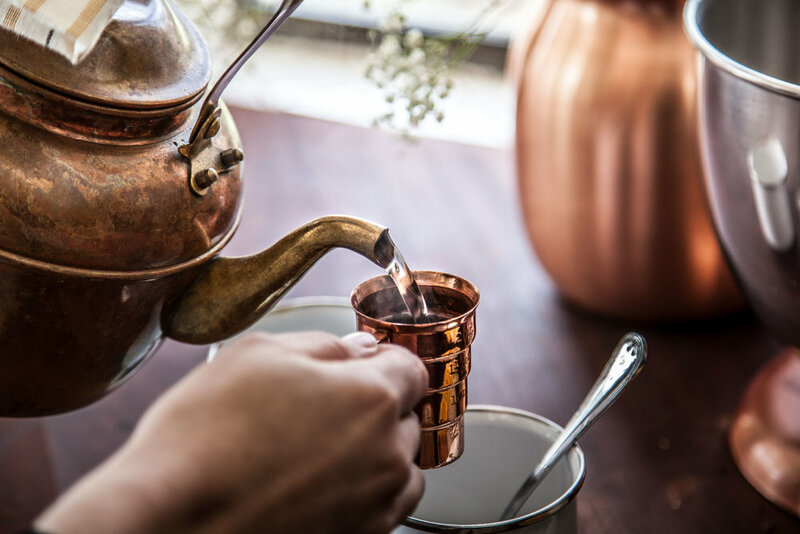 Try warming up a light rum or gin, and see how the hot water opens up the flavors and soothes your winter soul. There aren't really a lot of rules when it comes to Hot Toddies. The word "toddy" can be traced back to India in the early 1600's, from the Hindi word tāḍi, and first referenced a drink made from the fermented sap of palm trees. So, there you go - nothing like rotten palm sap to pave the way for substitutions! The earliest meaning of the word was more general than that, and a toddy was simply any drink made of alcohol, hot water, sugar and spices. Many claim the Hot Toddy originates with Robert Bentley Todd, an influential Irish physician who readily incorporated innovative new tools into his practice (think: the microscope). He contributed prolifically to medical publications, lectured frequently, and was the first to lay out a specific process for treating severe cases of fever. Can a Hot Toddy cure a cold? 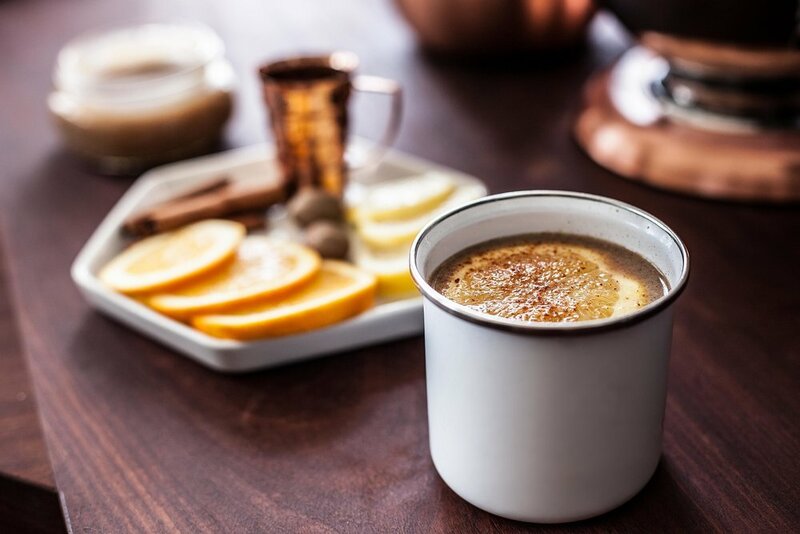 Dr. Robert Bentley Todd's diagnoses were often accompanied with a prescription for a drink with "brandy, canella (white cinnamon), sugar syrup and water," so it's no surprise that we still associate the Hot Toddy with medicinal use. Especially during these cold winter months when the flu is at it's worst, and a hot drink on a cold night is just the thing you'd like to prescribe to yourself. So even though Dr. Todd prescribed brandy, we seem to use Scotch these days (and anyway, he was Irish - so why not add Irish Whiskey to the list?) But consider his practice of prescribing a brandy-based drink as permission to substitute the Scotch. Dr. Robert Bentley Todd, often credited with the origin of the Hot Toddy, which he prescribed frequently to patients. Throw it all together and drink it. Add [sugar/honey/sweet], any other spices or citrus juice, and boiling water to a pre-warmed mug. Stir to dissolve. Garnish with a lemon twist/wheel and/or cinnamon/nutmeg/cloves, or star anise if you're feeling real fancy. Why Pre-Warm the mug? If you'll be using a room-temperature spirit, you'll want the mug and water to be fairly hot. If you want to warm the alcohol, you certainly can, but keep it in the pot just until warm. If you heat alcohol for too long at high heat, it can begin to lose it's alcohol content. Also, warm mugs are nice. What's a Good Hot Toddy Recipe? The essential hot toddy recipe is simple: 1-2 oz of spirit (typically whiskey, rum, brandy, or cognac), 2-4 oz of hot water, 1-2 tsp of sweet (sugar or honey), a dip of a tea bag and a splash of lemon. — Sue, a Hot Toddy FAN! Stop reading this already, and put the kettle on the stove!